The peoples of Raposa-Serra do Sol are under attack from violent farmers. Vicious attacks have shaken their communities as the state government refuses to uphold the law. Makuxi wearing traditional paishara costumes. 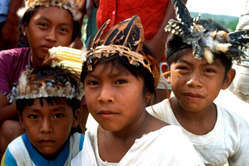 The Makuxi, Wapixana, Ingarikó, Taurepang and Patamona peoples inhabit a land called Raposa-Serra do Sol (Land of the Fox and Mountain of the Sun) in the north of Brazil, on the border with Venezuela and Guyana. It is a spectacularly beautiful region of mountains, tropical forest, savanna, rivers and waterfalls. The territory is about 1.7 million hectares and is home to approximately 23,000 Indians. 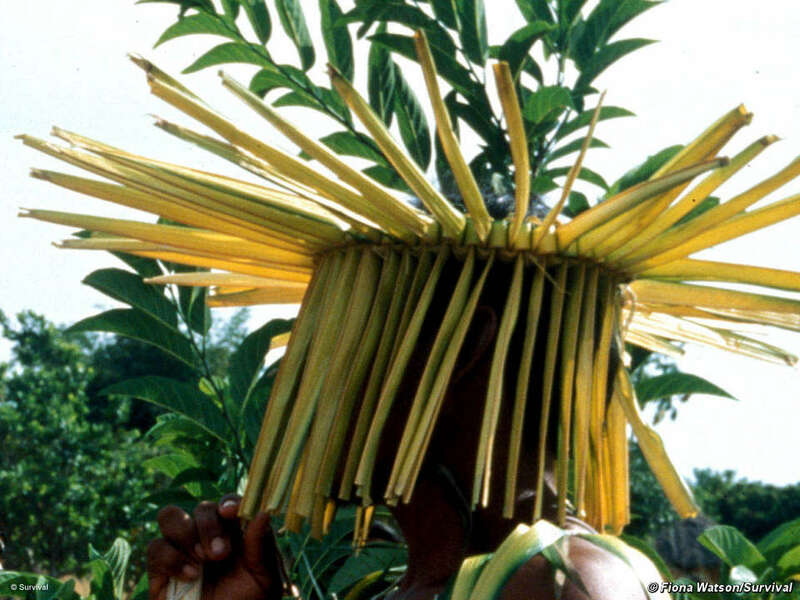 Despite having had contact with outsiders for over two centuries, the Indians maintain their languages and customs. Many communities run their own education and health projects and have set up several organisations to defend their rights and help run their projects. Two Indians from Raposa-Serra do Sol, Jacir José de Souza and Pierlangela Nascimento da Cunha, tell Survival about their lands and lives. After years of campaigning led by the Indigenous Council of Roraima (CIR), Survival and many NGOs in Brazil and elsewhere, Raposa-Serra do Sol was signed into law by President Luis Inácio Lula da Silva on 15 April 2005. There was much jubilation at this milestone as the territory had been the object of a sustained and violent campaign by local ranchers and settlers to stop the Indians winning it back. In the last three decades over twenty Indians have been killed and hundreds injured during the Indians’ tireless struggle to reclaim their ancestral land. A group of rice farmers, supported by local politicians, waged a war on the Indians, using increasingly violent tactics, shooting and wounding at least ten Indians, burning bridges to prevent Indians entering or leaving their land, and throwing a bomb into one community. Gunmen hired by Paulo César Quartiero, a local farmer and politician, attack a Makuxi Indian community, throwing homemade bombs and firing assault rifles. Ten Indians were wounded. Mr Quartiero was arrested, but released soon after. Warning: this video contains images of violence and injuries which some may find upsetting. The government of Roraima state lodged a petition in Brazil’s Supreme Court contesting the federal government’s official recognition of the Raposa-Serra do Sol and demanding that it be reduced in size. Nearly 20,000 Indians live there and rely on the land and rivers for their livelihood, yet the six farmers and local politicians claim that they are obstacles to the state’s development. Finally, on 19th March 2009 in a landmark ruling, the majority of Supreme Court judges upheld the Indians’ rights to their land, saying it had been demarcated according to the constitution and that its size and borders should be maintained. The judges also affirmed the importance of maintaining indigenous territories as single, continuous areas and stated that territories on Brazil’s borders do not pose a risk to national sovereignty. ‘Now we have the right to fish in our rivers once more without fear of being shot at by the farmers’ gunmen,’ said another Makuxi leader. 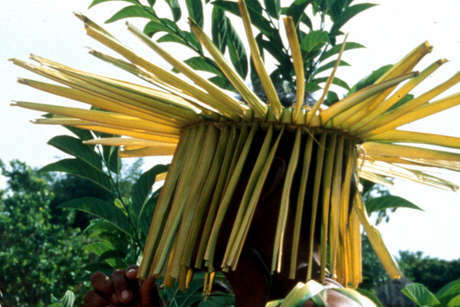 The Makuxi, the largest tribe living in Raposa-Serra do Sol, believe that they, and their neighbours the Ingarikó, are descended from the children of the sun, who left for their descendants the gift of fire, but also disease and the hardships of nature. Makuxi man thatching a roof with buriti, Raposa-Serra do Sol, Brazil, 1994. The indigenous peoples here hunt, farm, and fish. Some raise small herds of cattle in the savannah region and keep other domestic animals. During the long dry summer months, they hunt, fish in any rivers that are not dried up, and visit neighbouring villages. 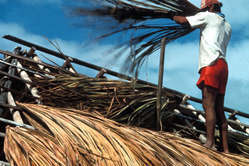 This is also when they build and repair their houses, which they make from wood, clay and palm leaves. The winter, from May to September, is a period of very heavy rain, making many of their summer activities impossible. Communities vary greatly in size, and are based on ties of marriage and family. Extended families hunt together, but each household grows its own crops for and rears a few domestic animals for personal use. 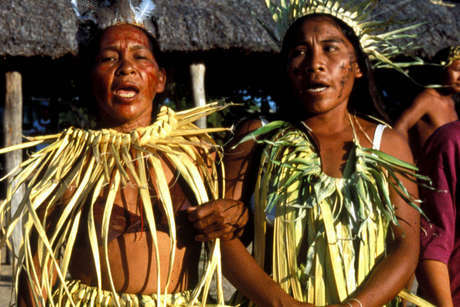 Since the eighteenth century, the indigenous peoples of Raposa-Serra do Sol have fought for their land rights against waves of violent invasions, colonisation and attempts to resettle them. Against all odds they have managed to hold on to their ancestral land. 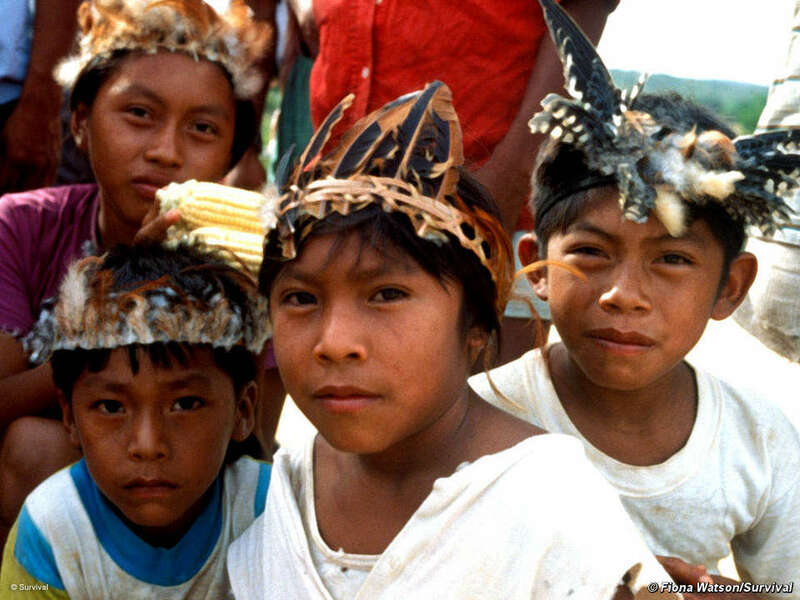 Makuxi children wearing decorative feather headdresses at Uiramutã, Raposa-Serra do Sol, Brazil. Cattle ranchers occupied their land in the 20th century setting up large ranches which were routinely patrolled by gunmen who subjected Indians to much violence – at least 20 Indians were assassinated in the 1980s and 1990s. Wildcat miners also illegally invaded in the territory prospecting for gold and diamonds, which resulted in pollution of rivers and tensions with communities. More recently despite protests from the Indians, several small towns have been built by settlers in the area, and the military have built a barracks right next to the indigenous community of Uiramutã. In 1996 a large group of farmers invaded Raposa-Serra do Sol to plant rice fields. They used large amounts of pesticides which leaked in to the rivers and streams used by the Indians for bathing, cooking and drinking water. In the last decade they have resorted to terrorist-like tactics, destroying indigenous property, threatening leaders and setting fire to indigenous schools. 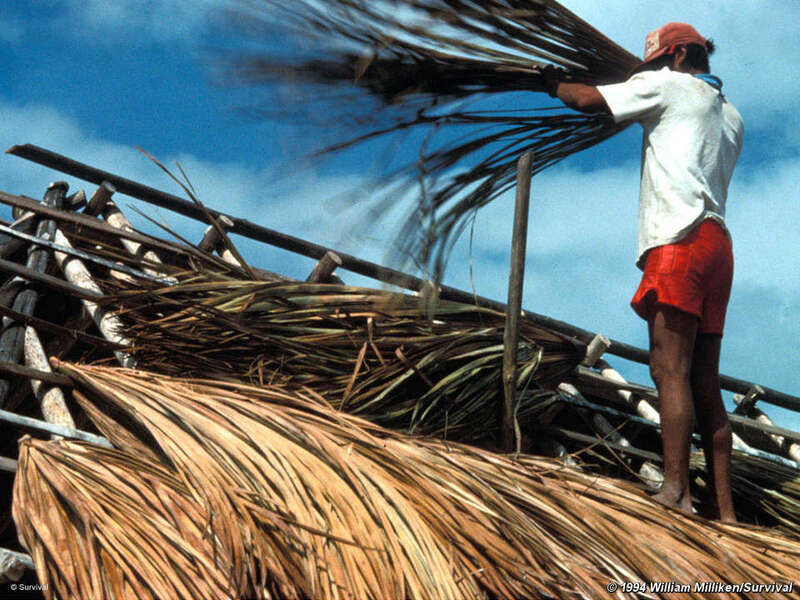 Since the Supreme Court’s decision in 2009 which recognises Raposa-Serra do Sol as one single indigenous territory, the rice farmers and ranchers have left the area. Today the indigenous peoples of the Land of the Fox and Mountain of the Sun now live in peace on their land and are developing their own education and health projects. 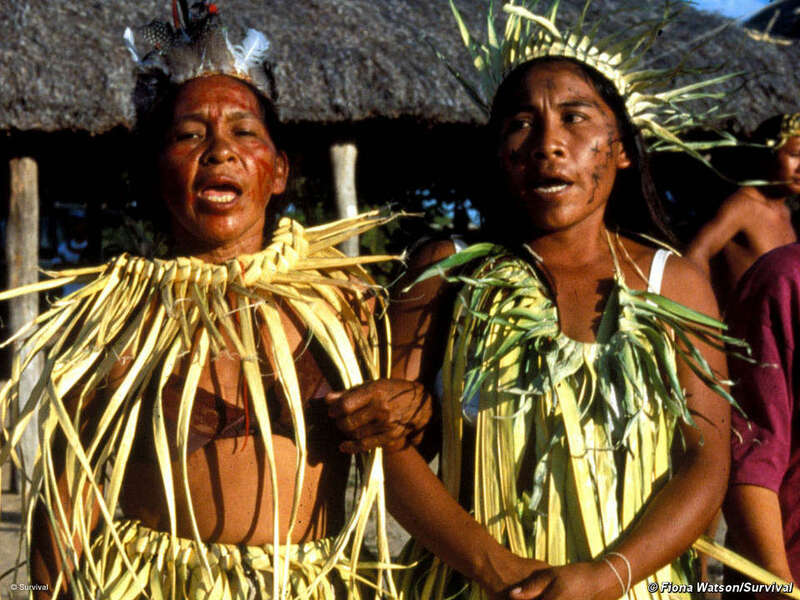 Your support is vital if the Indians of Raposa Serra do Sol are to survive. There are many ways you can help. Donate to the campaign for the Indians of Raposa Serra do Sol (and other Survival campaigns).